Important: Please set "Enable Indicator Monitoring" as "true" under settings before using this EA. This is not an expert adviser in itself. It does not make trades by itself; it will only make trades based on the indicator that you use to generate signals. Please test with the DEMO before you buy. When you are backtesting, make sure you have the indicator running during the backtest. FRZ Indicator Automater is an expert adviser that can convert almost any indicator into an expert adviser. It does it by making orders/trades based on the indicator buffers and/or objects created by the indicator on the chart. It can open trades based on the signals provided by the indicator and trades are closed on the opposite signal (and an opposite trade is activated). If your indicator has indicator buffers, then you can use this option. All you have to do is to rename your indicator to “myindicator” and then map the right buffer numbers to buy and sell signals. 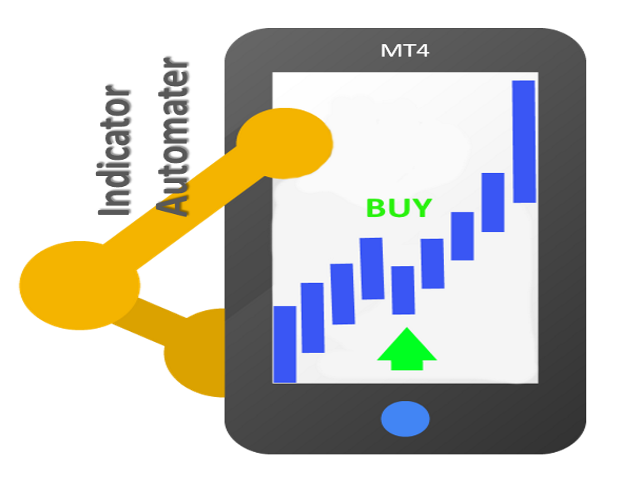 Also, make sure the indicator placed within the MT4 Indicators folder (not in subfolders). The objects can include arrows, triangles, buttons, thumbs, etc. You can use these objects to make trades/orders with this EA. If you are only using object-based trading, there is no need to rename your indicator as mentioned before. The objects are captured based on their name prefix, color and time of creation. You may have both buffer based trading and object-based trading at once and also object based trading can be from a second indicator. The EA will make trades/orders just as the indicator buffer or object appears. So if your indicator repaints, you might see trades/orders made while no indicator buffer or object visible or buffer or object is painted at a different place.